Jackie Fo: Happy Blogeversery to ME! This time last year, I took a chance. I put myself out there for ALL to see and judge. And I began a fantastic journey! What's all this about? 4) Having a place to store all my ideas, parties and random thoughts! 1) Editing, spell checking, etc. I just want to get it written and be DONE! Thanks for those people (I'm talking to my father-in-law) who let me know when I have made a glaring grammatical error. Seriously, thanks. 2) Mr. Fo is very supportive of everything I do. But he does call the computer my "best friend," and sometimes asks if we can hang out without our 3rd roommate around. Hee. 3) Feeling guilty if I don't have time to blog or haven't been able to check out my favorite bloggers! As you can tell, the positives tremendously outweigh the negatives! This has been an absolutely wonderful, fun and eye-opening experience that I truly adore. Thanks to everyone who tunes in, leaves comments and supports me! Well, my blog and I are off to have a romantic date to celebrate our anniversary. Cheers to many more happy years in blogland! 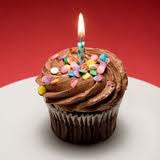 happy 1st blog-versary!!! I enjoy following you (and you can join my misspelling club ;o) Here's to another great year! happy anniversary......when are you going to do something on eggplant parmigiana? Yay for you!!! My husband acts the same way about me and my laptop. I'm sitting right next to him, what's the dealo?! All the best for a fantastic year of blogging throughout 2011.
happy blog anniversary, i love your positivity and so glad i stopped by on your happy day!